This March and April, Good Eggs will donate 5% back to Woodside School every time you shop. 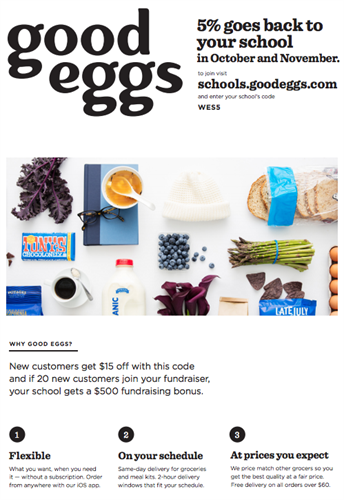 Enroll in the fundraiser by visiting schools.goodeggs.com, entering the code WES19, and placing an order. 5% will go back to the school starting on February 25, but you can place an order with the code ahead of time to enroll early. Haven’t tried Good Eggs? You’ll get $15 off your first order when you enroll! You can get groceries and easy dinner kits, delivered same-day. No subscription required, and delivery is free anytime you spend $60! Start earning money for WES now! Calling all athletes! Woodside PTA has a new (year-round) fundraiser with Sports Basement for everyone who signs up for the Basementeer Loyalty Program. As a Basementeer you get 10% off every time you shop at Sports Basement and they will give 10% back to Woodside when you add the school as your Basementeer Beneficiary. You can enroll online (there is a $25 one-time membership fee waived for Woodside School via the link) or stop by the Redwood City Store to enroll for free. As an added bonus, Sports Basement Redwood City is holding a Woodside Shopping Event from March 11-March 18. Mention Woodside School when you shop and you'll get 20% off your purchase, 28% if you're a Basementeer. Have a great season! Scrip Gift Cards: Gift cards are perfect for holiday giving. Buying gift cards by ShopWithScrip is an easy way to support the PTA's programs. We stock Amazon.com, Whole Foods, Safeway, Starbucks, Macy's and many other retailers that you visit every day. 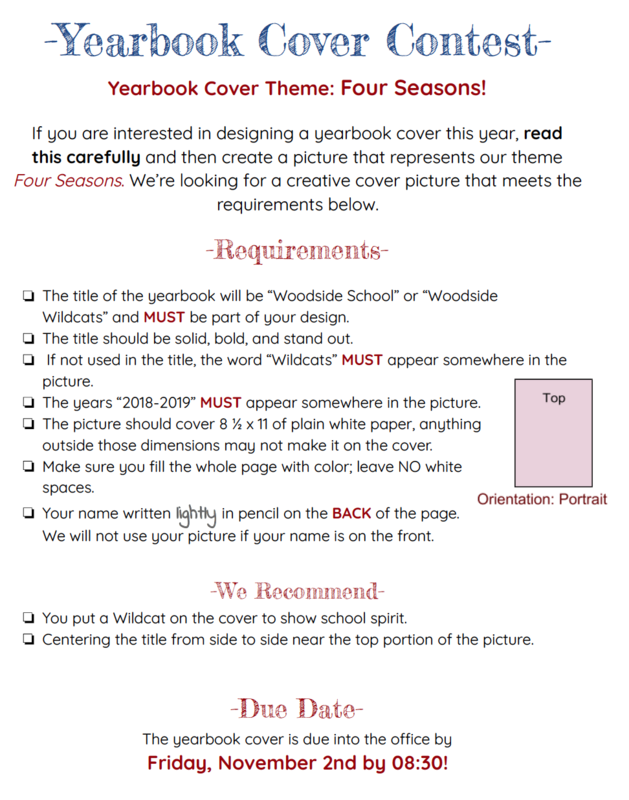 Stop by the school office, fill out a form, and your store cards will be in your hands in an instant. Gift cards make great teacher gifts too! WES PTA receives a percentage of each card purchased as noted on the order form. Amazon: Please click the Amazon logo below before you shop on Amazon.com! Woodside School PTA will earn up to 10% of your purchases if you enter their site via our link!